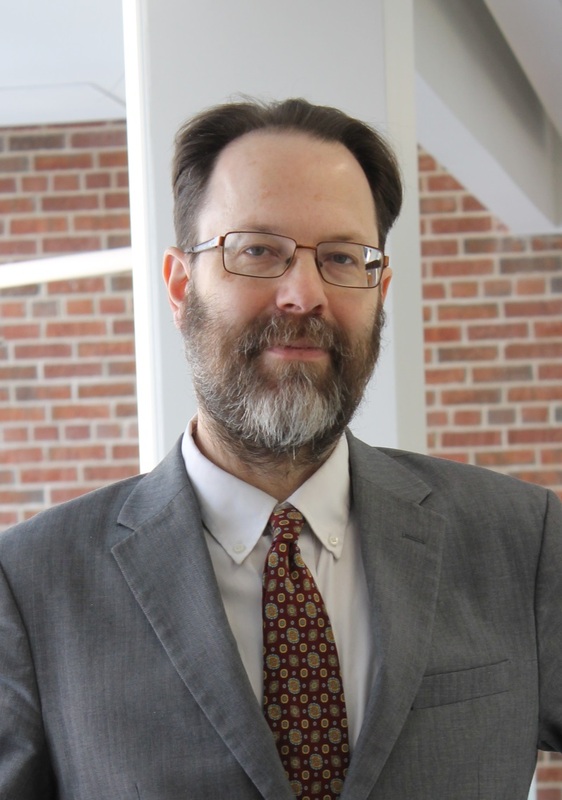 Dr. Richard Smith is a native of Michigan and concentration chair for the Innovation in Community, Leadership and Policy concentration in the MSW program. Our social work students have twice named him teacher of the year. His research interests include sustainable community development, inequality, and migration. He currently serves as a core advisor for the International Ecocity Standards project of Ecocity Builders, Inc. and serves of the FocusHOPE Hope Village Steering Committee. Dr. Smith's research is published in Journal of Urban Affairs, Journal of Policy Practice, International Journal of Social Welfare, Social Work, Urban Studies and others. Two journals (Journal of Sociology and Social Welfare, Journal of Gerontological Social Work) and one conference (Urban Affairs Association) have awarded him and his collaborators a best paper prize. In 2013, he was awarded the Emerging Scholar prize by the Association for Community Organization and Social Administration. In 2015, he was the first Wayne State University faculty member inducted a Society for Social Work and Research Fellow. While studying at the University of California, Berkeley, he received a US Dept. of Housing and Urban Development Doctoral Dissertation Grant. Dr. Smith also held research appointments at the California Social Work Education Center and the University of California Labor Center. Before pursuing his doctorate, he served as a Presidential Management Intern at the U.S. Department of Housing and Urban Development in Washington, D.C., where he obtained a professional certificate in economic development finance from the National Development Council. While studying for his master of social work at the University of Michigan, Dr. Smith obtained a Ford Foundation community development internship through the National Congress for Community Economic Development in Cleveland, Ohio. Smith also worked in Mongolia, where he served in the U.S. Peace Corps training English teachers; managed the Spring English Language Center; and consulted for UNICEF and a World Bank/UNDP project. In his free time he is learning guitar, piano and song writing. He is a regular at the WDET Moth Story Slam and other open mic nights. He loves vegan cooking and supporting local food entrepreneurs. 1) Immigrant Friendly Communities: Dr. Smith worked with Wayne State University students to compile a database of local governments that are actively welcoming or literally attempting to recruit immigrants to purchase homes, start businesses or contribute to needed skills in the workplace. Are these policies mostly a response to urban decline, pressure from civil society, or a result of political pressure? This work is of particular salience due to shifts in Federal policy. 2) Community Measures of Inequality and Sustainability: Research suggests that inequality negatively affects human well being and creates an unsustainable environment. Dr. Smith is a core advisor for the International Ecocity Standards Framework project of Ecocity Builders. This project combines community organizing, ecocity mapping, and indicators to promote sustainability in human settlements. They have integrated this work into the Urbinsight web-based platform that is being piloted in several cities. His students worked with Ecocity Builders to develop pieces of the Ecocompass curriculum designed to train community residents in pilot cities to collect data and visualize it. He has applied this expertise to support the development of EcoD, two Ecodistricts in the Hope Village and the West Village. 3) Aging in Place, Gentrification, and Health Outcomes: Dr. Smith has been collaborating with Amanda Lehning and Kyeongmo Kim at the University of Maryland, Baltimore to analyze the health outcomes of older adults in different kinds of neighborhood contexts. They are also interested in how these differences vary by different kinds of vulnerability. Policy makers are promoting an attitude towards planning that is friendly to persons of all ages, but older adults may different kinds of supports depending on the environment. “Ecocities” are human settlements modeled on natural ecosystems. They provide healthy abundance to their inhabitants, replenish the resources they consume, assimilate their own waste, and are nontoxic — to themselves and to neighboring ecosystems. Ecocity Builders is an international organization, based in Oakland, Calif., that designs educational tools and strategies to support the development of ecocities and to reverse patterns of sprawl and excessive consumption. As a member of Ecocity Builders and a core advisor to its International Ecocity Standards project, Smith draws on his extensive practice experience in sustainable community development and advanced training in geographic information science to develop and refine ecocity-building tools. Smith recently worked with Ecocity Builders to develop The EcoCompass, a participatory course curriculum to train community residents in the understanding of and participation in community-engaged research and ecocity planning. The EcoCompass serves as a training manual to use Urbinsight, an online participatory mapping and resource flow visualization tool that empowers residents and community-based organizations to help determine if their city meets Ecocity Standards.